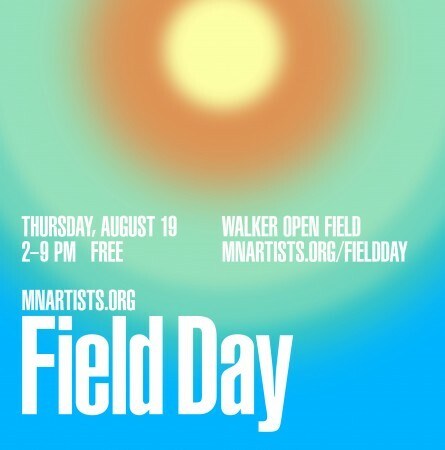 After last year’s rousing success, mnartists.org Field Day returns! This year promises a fresh slate of events and activities celebrating local artists and art supporters. Join the fun after work, or better yet, take the day off: Everyone is welcome, and mnartists.org members receive free gallery admission all day. In a summer bursting with exciting, intriguing and unexpected events on the Walker Open Field…..Field Day is sure deliver something for everyone. Here is the full rundown of events so you can plan your Field Day experience. Most of these events are better with friends, so be sure to bring them along or make some new ones along the way. Everyone is invited to Drawing Club, an ongoing project based in sharing, collaboration and the social experience of art making. Doodle and sketch with local artists and add to a pool of collectively created artworks. For this special session of Drawing Club we invite you join artist David Lefkowitz and the Manual Image Assemblers Local 47 to make your mark. 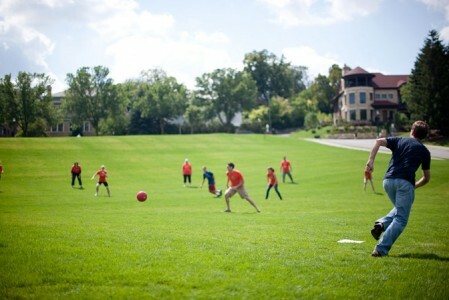 Lawn games are back and expanded with something for everyone. Play croquet in the Sculpture Garden, join gather your friends to compete in the annual badminton and kickball tournaments. All ages and skills are welcome. Sign up your team at the Field Day information tent starting at 2pm the day of the event. Note: 2 player Badminton teams and minimum 8 player kickball teams. Fabulous prizes and fame to the winning teams courtesy of Field Day media sponsor The Onion AV Club. We invite local Plein Air painters of all styles and abilities to the Minneapolis Sculpture Garden to paint versions of the iconic artwork and skyline. We are also joined by artist Tom Maakestad, who will share his considerable experience with plein air painting including getting set up with easel, what essential colors to have and how to deal with the many situations that arise when working out of doors.Tom is a Minnesota painter whose work is collected internationally. He currently is showing at the US Embassy in Skopje, Macedonia and is represented locally by Groveland Gallery, Minneapolis. Note: Please bring your own easels and supplies and join the party. Plein Air Demo sponsored by Wet Paint Artists’ Materials and Framing. Wet Paint will also hold a free raffle of a Guerilla Painter French Resistance pochade box. Challenge your speed and stealth capabilities with a high-tech version of tag using digital cameras, devised by local artist Ben Garthus. Think Laser tag meets Flickr. Invoking the spirit of the beginnings of Hip Hop culture, the audience is invited to interact with D.J. mal – who will be continuously spinning and cutting up various musical selections live. The audience is invited to step up to the microphone, and/or get on the dance floor, and add their own voice to the beats. 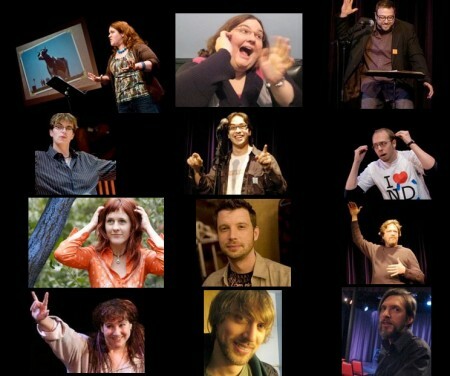 Raise a drink after work and listen as some of Minnesota’s most entertaining writers, performers and artists tell stories under the canopy of the trees in the Open Field Grove. What to know more…check out this profile from our mnartists.org. Over the last 20 years the CSA or “farm share” model, has become a popular way for consumers to buy seasonal food directly from local farms. With the same buy-local spirit in mind, both mnartists.org and Springboard for the Arts created Community Supported Art (CSA), a similar endeavor to support local art, artists and collectors by paying local artists to create new work and introduce them to new patrons. Meet the artists and organizers of the CSA program as the last “shares” are picked up for the summer season. Also find out how to apply to be part of the fall season of CSA…the application cycle is open till August 27th. Join with local musicians Holley Munoz, the Roe Family Singers and Velvet Davenport as they perform in intimate settings around the Walker campus. From experimental battery-powered rock in the Skypesher, old-fashioned jam under a grove of trees, to acoustic sing-along on the grass with artist designed “campfire”…its will be a wonderful way to close out the evening. Major support for Open Field is generously provided by Margaret and Angus Wurtele. Field Day sponsored in part by The Onion AV Club.